Free program to quickly insert predefined text strings (up to 100 lines) to the clipboard and the active input field of various programs by the global hotkeys. 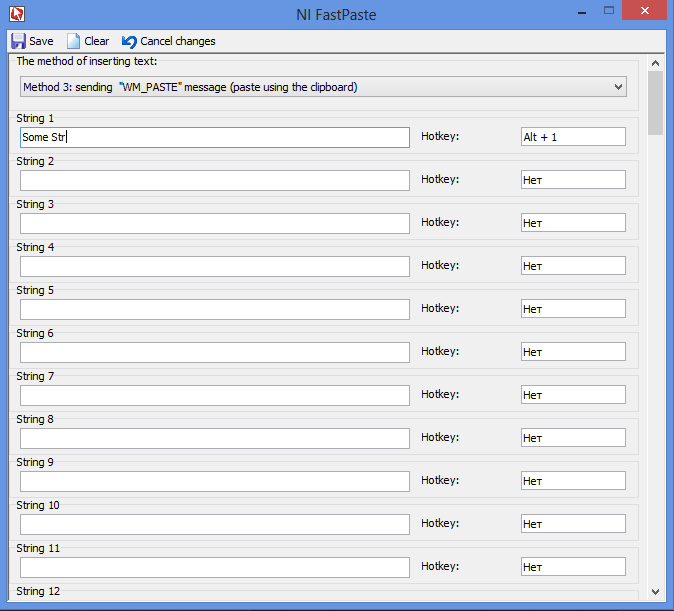 Portable version writes settings to fastpaste.ini in AppFolder. For english version of site click to "Translate" button in bottom rigth corner. Text 'Нет" (No in Russian) in Hotkey's textboxes will be fixed in next version.